When I need help with sponsored research, should I contact OIE or OSP, or another office? To learn what UT office handles what types of agreement, visit the Agreements page. I have an SBIR proposal opportunity and will be working with a private company. Who can help me with this? Contact the Office of Sponsored Projects (OSP). I need to get a piece of software from a company and they’ve sent me a licensing agreement. Who can help me get this reviewed and signed? Contact the Business Contracts Office. Business Contracts handles all software licenses, cloud services and general IT purchases, including the business associates agreement for any HIPPA information relating to software or cloud services. Note that the Purchasing Office must approve of a purchase of software, or cloud services that exceed $15,000. How can I get OIE’s help in talking to a company about potential research and how to structure a deal? Contact OIE at industry@austin.utexas.edu or call us at 512-471-3866. OIE will work with faculty and industry to determine the type of desired relationship and the appropriate intellectual property model to satisfy the objectives of all concerned. OIE welcomes the opportunity to meet with faculty and industry representatives at any time. Who can help me with visiting scientist matters? Liza Scarborough in the Office of Vice President for Research can assist you in completing the Offer Letter with the Visiting Researcher as well as navigating the nomination/assignment process with HRMS. Visit Office of Vice President for Research website. I received an RFP and other documents from a company. Who can help me with these? If the matter is related to research funded solely by industry, OIE will assist with the review of your proposal, and any related documents, including a required RFP. Contact OIE at industry@austin.utexas.edu or call us at 512-471-3866, if you have any questions. The company I want to send a proposal to wants to know what “overhead” is and why they should pay for it. Can you explain? UT’s indirect cost rate (IDC) agreement, as approved by the government, is available to the public. Note that capital equipment and tuition are exempt from the application of IDC. Overhead costs also known as indirect costs are calculated based on actual costs accrued in support of research and are divided into two categories: Facilities and Administrative (F&A) costs, the official term. That calculation forms the basis for negotiations with the federal government through a cognizant agency, usually the Department of Health and Human Services or the Department of Defense. The cognizant agency for UT is the DHHS. The administrative costs are capped, while there is no cap on the facilities costs. Components of the administrative costs include general administration, departmental administration, student services administration and sponsored projects administration costs. Components of the facilities portion include building depreciation, equipment depreciation, land improvement depreciation, interest, operations and maintenance without utility costs and library costs. There are a couple of special rates that are negotiated and the off-campus rate only addresses administrative costs. Can UT waive or reduce its indirect costs or overhead for private companies? If any PI proposes a reduction of UT’s IDC or a waiver of IDC on a project, the proposal must be accompanied by the approval of the VPR, as supported by the Associate Dean of the department. A more detailed explanation of UT’s IDC adjustment/reduction policy, and IDC waiver request policy, is provided on OSP’s website. There are ramifications associated with IDC waivers that only the department heads and VPR can assess and approve, and OIE does not get involved other than to share the below process before approving a proposal with a reduced IDC or waiver. For information about the procedure for routing PI's request for waiver of IDC, visit the Request for Waiver of Indirect Costs page. I would like to cost-share a portion of expenses relating to some work with industry. Is that okay? UT requires that industry pay all costs associated with the performance of industry-sponsored work. If the sponsor does not pay for all costs to do the work, including IDC, and PI’s time to work on that project, then this is cost-sharing by the department, which must be approved by the Dean’s Office, usually the Associate Dean. Any approved cost-sharing must be documented on the appropriate cost-sharing form. The cost share is usually, but not always, approved by the Department Chair prior to submission to Dean’s Office for review/approval. Requests to cost-share forgone IDC must also be approved by the Vice President for Research. The process for obtaining VPR approval to forgo IDC on a sponsored research project or agreement is published on OSP’s website. OIE also will consult with the VPR in instances where the overall amount of cost sharing (from all sources) is significant. I want to do sponsored research with a company. Does OIE have any templates that I can give to the company? Yes. OIE has template Agreements for Sponsored Research, exchanges of confidential Information, data use licenses, industrial affiliate programs, research participation programs and material transfers. Download the template from the Agreements page. I have been approached by a company to work for them as a paid consultant. The company has sent me a Nondisclosure Agreement (NDA). Can your office advise me on the details in this NDA, whether I should ask for any addenda or changes in the NDA, and whether UT requires additional agreements?  Faculty members at UT Austin are permitted to enter into consulting agreements in their individual capacity, within certain parameters. Since the NDA with the company is with you in your individual capacity, the agreement would not be reviewed by UT Austin. Faculty are, however, encouraged to have their own attorney review the agreements since certain provisions, e.g. non-compete clauses, may jeopardize their employment status at UT Austin. For additional information about financial conflict of interest, visit the Financial Conflict of Interest page. What is the difference between Fixed Price and Cost-Reimbursement type Agreements? Not-To-Exceed maximums (U.S. Dollars); estimated costs; reasonable efforts to complete work; visibility into costs/audit; return of unspent funds; invoices based on expenditures; period of performance. For cost-reimbursement types, refer to SOW as a “Scope of Work”. Firm fixed price (U.S. Dollars); sum; commitment to do work/provide deliverables by date specific; no audit rights; residual funds retained by University; milestones; no invoice documentation; term/milestones. For fixed price types, refer to SOW as a “Statement of Work”. For additional information about the fixed price and cost-reimbursement type agreements, visit the Fixed Price and Cost-Reimbursement Type Agreements page. How much information or detail should be included in my scope of work (SOW) for a research project? For the purposes of the contract/SRA, the ultimate purpose of the SOW is so that the parties can determine what exactly is/was expected of UT at the time the contract is entered into. In the legal context, the SOW describes/defines the institution’s primary obligations under the contract/SRA, and should be a thorough, clear and accurate depiction of the intent of the parties. Note that UT’s right to be reimbursed or paid under a contract is reasonably related to our achievement of the specified SOW objectives and/or milestones. Therefore, it is critical that the parties have a “meeting of the minds” on these objectives and exactly what is expected by UT. Since most SOW’s under cost-reimbursement type SRA’s permit a PI to have wide latitude and freedom in carrying out the scope, the SOW itself should clearly state such intent, goals and objectives, including any reporting that the PI commits to provide. For information about SOW reviews, visit the SOW Reviews page. Some teaching, suggestion, or motivation in the prior art that would have led one of ordinary skill to modify the prior art reference or to combine prior art reference teachings to arrive at the claimed invention. I am considering forming an IAP for my research. What is the difference between a Research Participation Agreement and an Industrial Affiliate Program? Research Participation Agreements (RPAs) provide the framework for private sponsors to enter into multi-year program commitments with the University in order to explore broad research topics of mutual interest. Multiple companies support a RPA program through a tiered membership fee structure. RPA program members have the option to participate in direction of the research and rights in the intellectual property are available to certain membership levels. The University recovers its full negotiated rate for Indirect Costs associated with the research conducted under the RPA program. OIE has a potential draft RPA template that could be refined and adapted for use and discussion with companies. For more information, visit the Research Participation Agreements page. Industrial Affiliate Programs are programs for broadly defined areas of basic research of common interest to academia, business, and industry which are typically referred to as Industrial Affiliates Programs (IAPs). IAPs are supported by multiple companies through membership fees and serve as an alternative way for The University of Texas at Austin research community and IAP members to facilitate the transfer of knowledge and discussion. For more information, including instructions for setting up an IAP and the template, visit the Industrial Affiliate Programs page. I am talking to a company about some potential industry-funded research and they are insisting that I sign an NDA. Is this something OIE can help me with? Note that only properly authorized representatives of UT may sign legally-binding Agreements on behalf of UT. OIE will review and work with you and the company to finalize an appropriate NDA for any exchange of confidential information. Contact OIE at industry@austin.utexas.edu or call us at 512-471-3866, if you have any questions. For more information, including the UT Universal NDA, an explanation of terms, and an overview of the process, visit the Non-Disclosure Agreements page. How can I find out if UT has a Master Agreement with a particular company? Contact OIE at industry@austin.utexas.edu or call us at 512-471-3866. What are the Pro's/Con's of an Individual SRA vs. Master Agreement with a company? Both an individual SRA and Masters will require a process of negotiating acceptable terms, and each type of Agreement will require development of a SOW, schedule, payment terms, and budget for review and approval by each party. Easy to replicate terms for newly identified research projects. Generally much faster to complete because identified researchers and scopes are known and fair/balanced terms compel attraction/further use by the same researchers, and more broadly by both organizations. Adjustments to individual terms can be reviewed/managed on an individual project basis, as needed, without starting anew. May provide an interim solution, pending development of a Master, if one is ultimately desired by a sponsor. Unless the company management communicates the “spirit/intention” of the relationship throughout the organization, individual SRA’s can invite new rounds of reviews by new legal representatives, thus impacting efficiency. If the terms are fair and balanced, the Master Agreement, with its attendant Non-disclosure Agreement/Material Transfer Agreement, etc., can attract researchers, campus-wide, to engage in research and discussions with the sponsor. Can potentially address other avenues of engaging with University, including fellowships, IAP access and unrestricted gifts. Generally takes much longer to complete negotiations, since a Master often involves trying to address terms for many unknowns, including a wide variety of scopes, different researchers across campus and different needs by both the company and University. Again, can not be viewed as a panacea. If the terms are not balanced, it can be difficult to engage researchers across campus, and thus frustrate the company’s desires to engage broadly with UT. Unless both the company/company affiliates and University assign top level officials to periodically meet and discuss Master objectives and review projects and upcoming engagements, the Master can be under-utilized. Moreover, if level of engagement is uncertain year-to-year, each organization will have invested considerable resources for an uneven use. Both the company and University must proactively and regularly promote and communicate the terms of the Master to affiliates and researchers, especially at the point of completing individual task or project agreements. It is not recommended that researchers enter into individual project agreements without an understanding of the underlying terms/requirements. A company has contacted me to request that my lab perform certain testing services. Who can help me with this matter? Does the described activity constitute services or research? Service activities generally provide for UT to receive samples, conduct testing of same, and providing the external user results of the tests. If the activity includes analysis of the results, consultation and/or travel to discuss the results, or any further study or evaluation of the results then the activity is research and will be processed by OIE or OSP. If research, the activity should be submitted to OIE as a formal written proposal (including scope of work, budget with full IDC, period of performance) and, if accepted, the project will be performed pursuant to agreed-upon provisions for IP, publication, and payment of UT’s full indirect cost rate. A formal proposal submission, via RMS, is required.